Happy Spring and welcome to the Joyful Stars April Blog Hop. If you have come from Joyce Gough's Blog, then you are on the right path. It is a circular hop so you can start anywhere and you will know you are finished when you get back to the first blog you saw. You can find a complete list of participants on Joyce Houck's Blog. I would like to share a little Easter favor I made for the girls that attend my monthly crop and for our Easter breakfast. I just LOVE the little chocolate animals! What could be cuter than little bunnies, chicks, ducks and sheep? 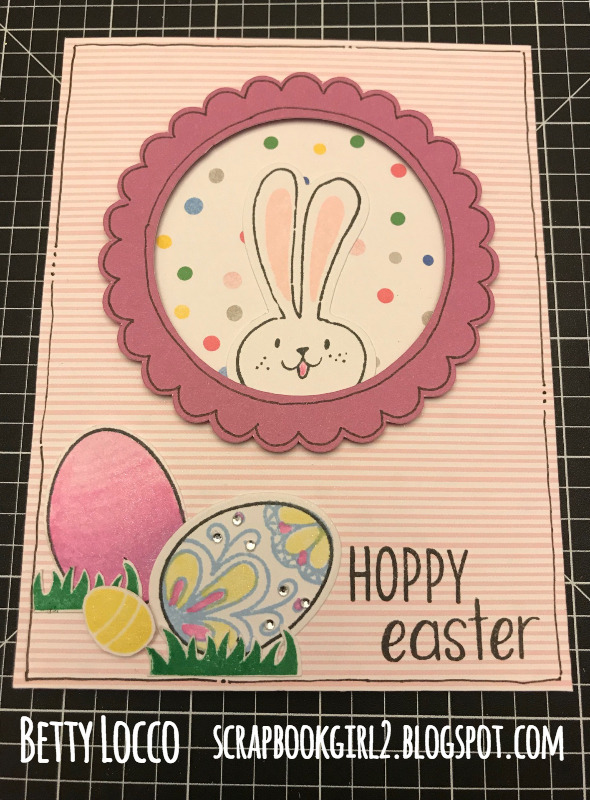 The pink stripe and dotted paper is from the Something Fierce paper pack and the multicolored stripe paper is from the I Heart Us paper pack. The banners are from the Close To My Heart Flower Market Cricut Collection. 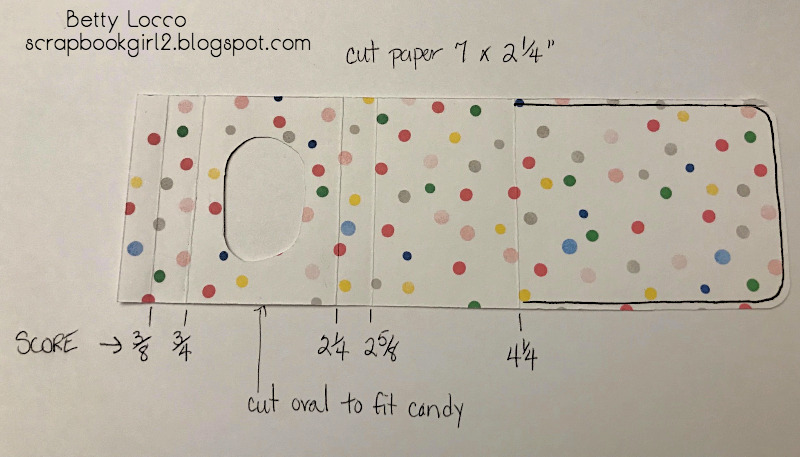 Here is the pattern for the treat holders. I found them on Pinterest a few years ago, however, I can not find the link to the original blog post right now. I will update my post as soon as I find it so I can give credit to the original designer. The candy is from Lindt and I purchased a large pack at BJ's. 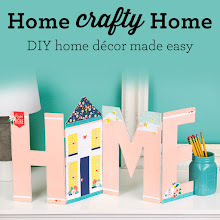 Now it is time to hop on over to Andrea's Blog to see her crafty creation. Time for another challenge from the Double Trouble Blog. I am back as the guest designer again - also known as the Crazy Cousin. is singing, "Make new friends, but keep the old, one is silver and the other gold." Link to Song. Your challenge is simply to use something metallic (gold, silver, copper, etc.) such as an embellishment, paper or technique. says, "I'm rich! During the last challenge I found the pot of gold and now it's time to travel. 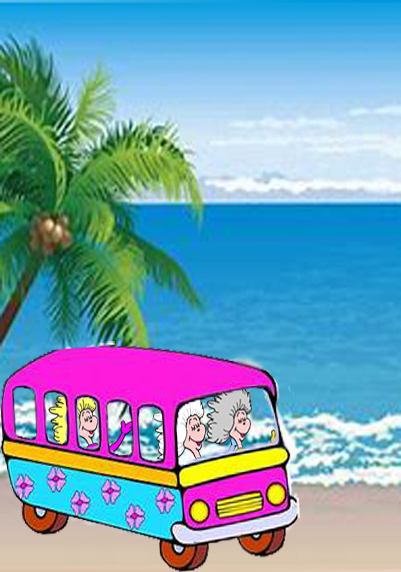 Let's adventure! Show us what mode of transportation you enjoy when on vacation (surfboarding, aircraft, boats, trains, autos, etc.)." dares you to join in the Brown Sugar Challenge #288 "Transportation Theme". If you have used Twisted Sister's Optional Twist, it's more than likely you will be able to skip on over to enter your project. Make sure if you are visiting from Brown Sugar your blog post stays within the dates of the Double Trouble challenge or you may get in trouble. The silver is the bike rim - sorry for the reflection, but it is a holographic silver paper so it was difficult to photograph. Unfortunately, I did not find the pot of gold like Twisted Sister, but we did have some beautiful weather recently, so I jumped on my bike - which is my favorite mode of transportation! You may consider me CRAZY because I'm sure most people would not think riding a bike as an adventure or a mode of transportation to travel to an adventure. But I am a simple gal and I absolutely feel like I am on vacation every time I go for a ride - it is truly "my happy place." Whenever the weather is nice, I try to carve out some time to go for a ride. My family enjoys riding as well, and some of our favorite family vacations included bringing our bikes along and riding them while we were away. Hello and welcome to the Joyful Stars March Blog Hop. I don't know about you, but I am really hoping that the groundhog was right and we will have an early Spring! If you have come from Joyce Gough's Blog, then you are on the right track. 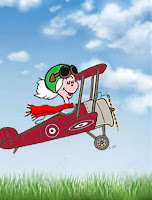 If you get lost along the way, you can find a complete list of participants on Joyce Houck's Blog. Today, I have a card to celebrate Spring. It uses a stamp set called "Under the Feather". I love the cheerful bird and the sentiments are great for all of your get well cards. Now it is time to hop on over to Andrea Sherman's Blog to see her wonderful creation. I am so honored to be the guest designer, also known as "the crazy cousin", for the month of March at the Double Trouble Challenge Blog! 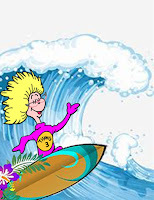 Thanks to Sue Reynolds for creating the cousin image for me. I think it is perfect! So what do you Think? Do I look like "the crazy cousin?" For the first challenge this month, we will also be linking up with the Heart2Heart Challenge Blog. You can play along with both and that will give you extra chances to win at Double Trouble. 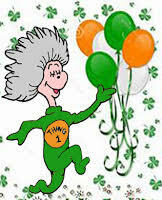 says, Let's have some fun for St. Patrick's Day with the wearin' o' the green!" Make green the primary color of your project. 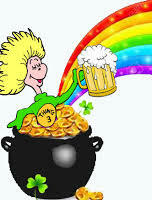 says Thing 3: Good ole St. Paddy's day is all about finding the Pot o' Gold... be it in a pint o' beer or at the end of a rainbow. Include a "golden touch" on your project for an added chance at our random draw. says, "I'm proud of my Irish heritage and double dare you to play along by linking your green project at Heart2Heart Challenge." While Heart2Heart encourages the use of at least one CTMH product, for this partnership, this requirement will be waived. Heart2Heart has weekly theme challenges and you are able to enter up to the last day of the month; however, Double Trouble challenge closes on March 17th. Enjoy a typical Irish tune HERE and as you link up with our partner for this challenge, Heart2Heart. This just happens to be the perfect challenge for me since green is my favorite color! 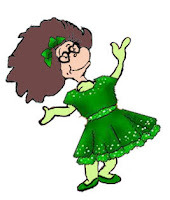 I love most shades of green, however, I am especially drawn to bright green, like the Close To My Heart color Willow. Maybe because when I received my DNA results, I found out that I am 21% Irish which is way more Irish than I originally thought! This is one of those $100 cards you hear about. Or maybe you make those kinds of cards too? I used many different dies and products on this card. It was not my intent to do that, however, sometimes I get an idea and as I start working on it goes in a different direction. I'm sure some of you can relate. I am happy with the result, however, I can not say the same for my workspace! It was completely covered by the time I was finished. All products are from Close To My Heart except the gold shimmer spray used on the card base - it is a product from Heidi Swapp called Color Shine. 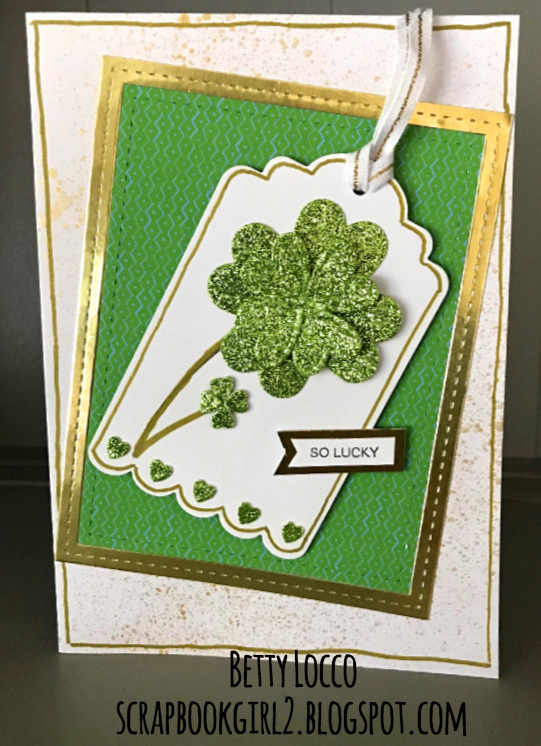 The card is 5 x 7 - I decided to make a larger card to accommodate the large "clover flower." It was cut using both the basic heart and stitched heart dies in bright green retired glitter paper. There are two layers of hearts to make the large "clover". The bitty hearts were cut using the Thin Cuts Shaker Window and Confetti Dies. I also used the new Stitched Rectangle Frames and cut them twice - once in Gold Foil Paper and once in a pattern paper from Something Fierce Paper Packet. 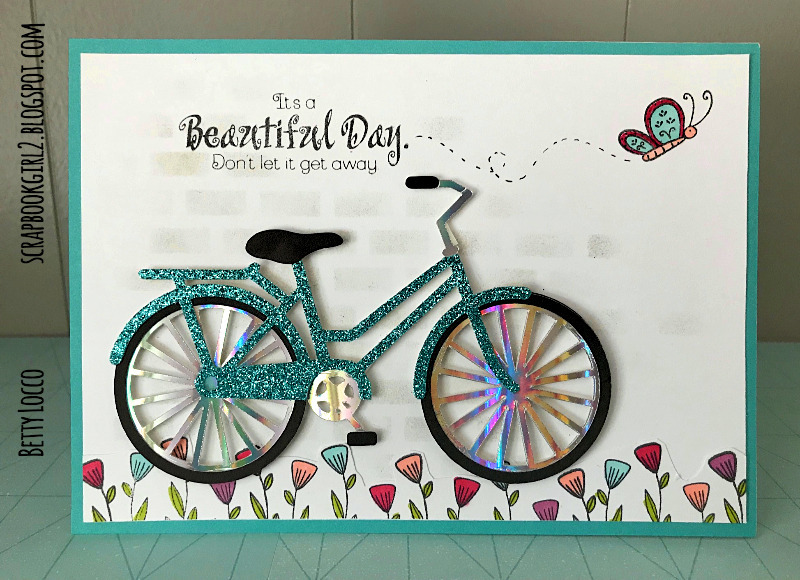 Please be sure to stop by the Double Trouble Challenge Blog and also the Heart2Heart Challenge Blog to see all the wonderful creations. There are so many talented artists that participate in these challenges! Actually, after compiling this product list, this may be a $200 card, but at least I got good use out of my stuff! Double Trouble Challenge 22 - "Do You Believe in Magic?" 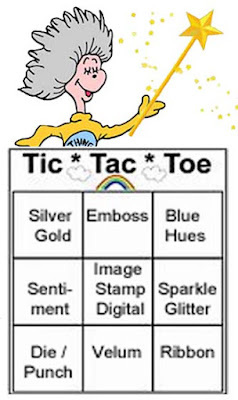 Double Trouble Challenge Blog has a Tic Tac Toe board to inspire your creativity this week. I chose to work on the middle row: Sentiment, Image and Sparkle/Glitter. They are also teaming up with the creative minds at the Use Your Stuff Challenge Blog and the theme is "Something Magical." The "magical" element in my card is the Easter Bunny. Just how does he get around the entire world in one night and hide all those eggs? The scallop circle was cut using the retired CTMH Art Philosophy Cartridge. Be sure to visit the Double Trouble Challenge Blog and the Use Your Stuff Blog to see all the beautiful artwork. You are sure to be inspired! 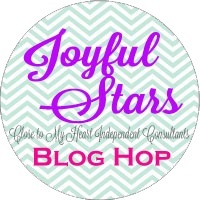 Welcome to the Joyful Stars February Blog Hop. I am happy that you are joining us this month. It is a circular hop so you have probably come from Michelle's Blog. If you get lost along the way, you can find a complete list of participants on Joyce's Blog. Today, I have a card made using the Feels Like Home paper pack to share with you. It is a birthday card I made for my sister-in-law. The floral stamp set is C1752 Know That I Care. 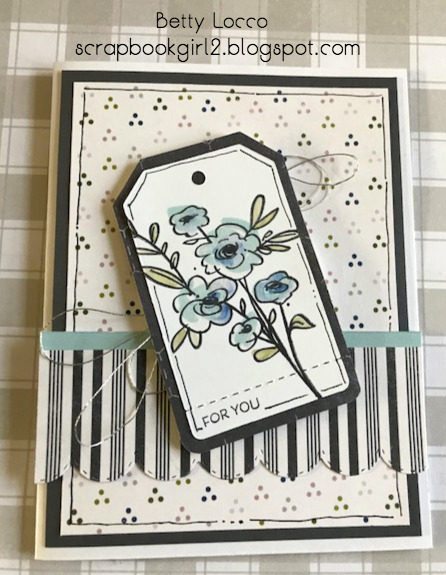 The sentiment "For You" comes from D1708 Sending Smiles, a stamp set in the Z3501 Flower Market Cricut Digital Collection . The tag was cut using Z4305 Fancy Tags. The stitched scalloped piece was cut with Z4241 Thin Cuts Decorative Borders. As I previously mentioned, the paper is from X7243B Feels Like Home paper packet. I used Z4213 Silver Embellishing Thread under the tag which is adhered to the card using Z1151 3-D Foam Tape. 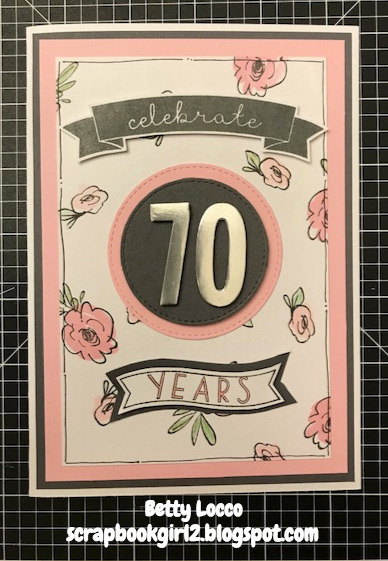 I have another card to share that was made for a 70th Anniversary celebration. This 5 x 7 card uses the same floral stamp set, C1752 Know That I Care. I used random stamping to create the pink and green floral paper. The number 70 was cut using the Z4159 Thin Cut Block Number Dies using the Z3366 Silver Foil Paper. The circles were cut using Z4181 Thin Cut Stitched Circles. The other stamp sets used are retired stamps. 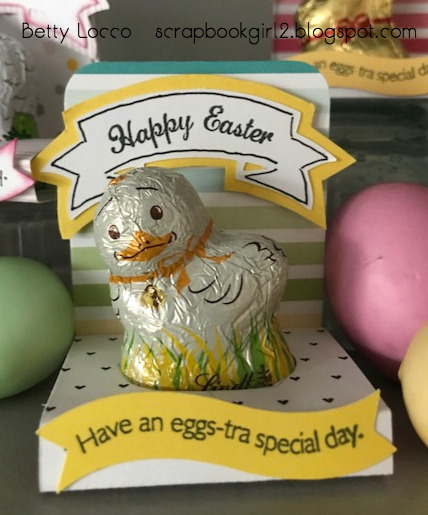 Now it is time to hop on over to Andrea's Blog to see her fabulous creation! Happy New Year! Thank you for joining us today. If you have come from Michelle's Blog, then you are on the right track. You can find a list of participants on Joyce Houck's Blog. 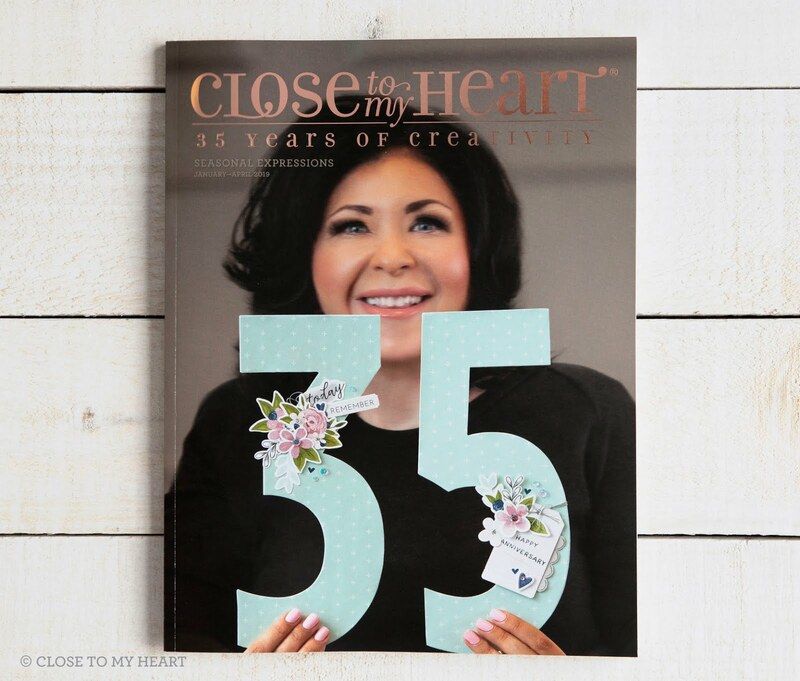 Close To My Heart has a brand new Idea Book! Click on the link if you would like to look through the new book. 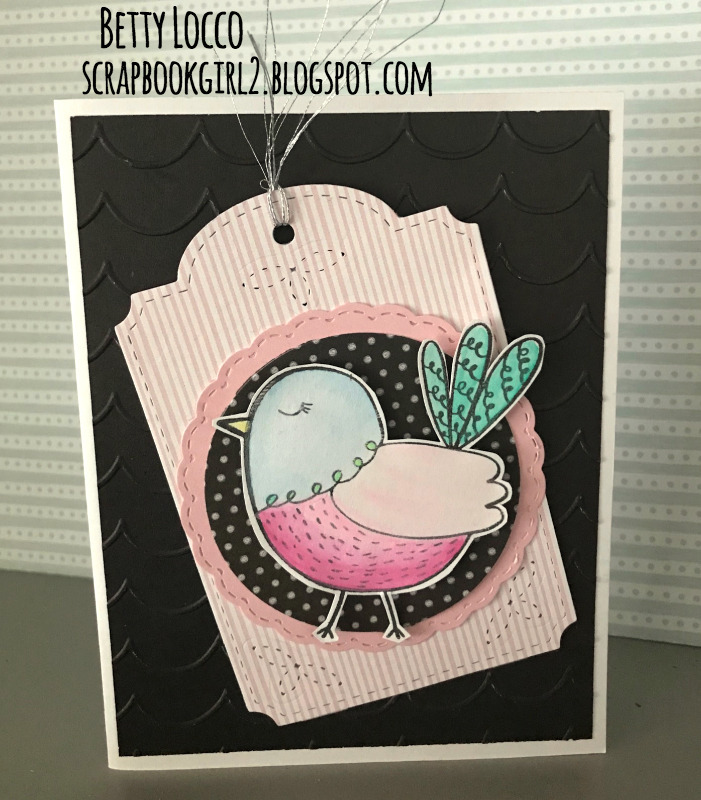 With every paper pack in the book, you will find both a Scrapbooking Workshop Your Way and a Cardmaking Workshop Your Way. Today, I am using the G1176 Feels Like Home Cardmaking Workshop Your Way called Love at First Sight. Our card workshops include all of the components (except for inks and glue) you need to make 12 beautiful cards, and include an exclusive stamp set. These are the cards from the kit. The first card, is made following the instructions included in the kit. This card would make a beautiful Valentine, Wedding or Anniversary card. 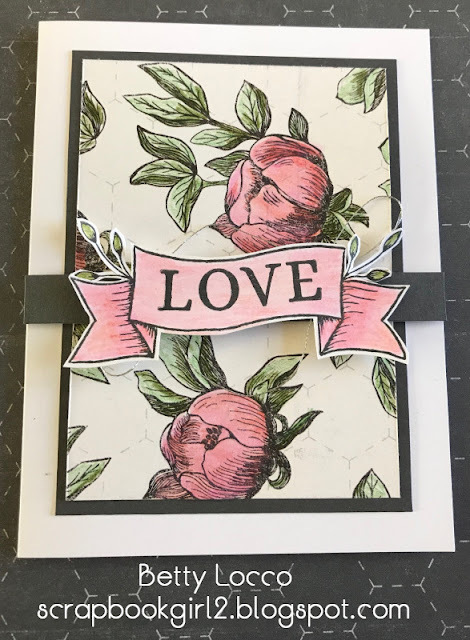 With the second card, I used the pieces from the kit and an additional stamp set - C1752 Know That I Care instead of the stamp set that comes with the kit. I love the watercolor look of this stamp set. 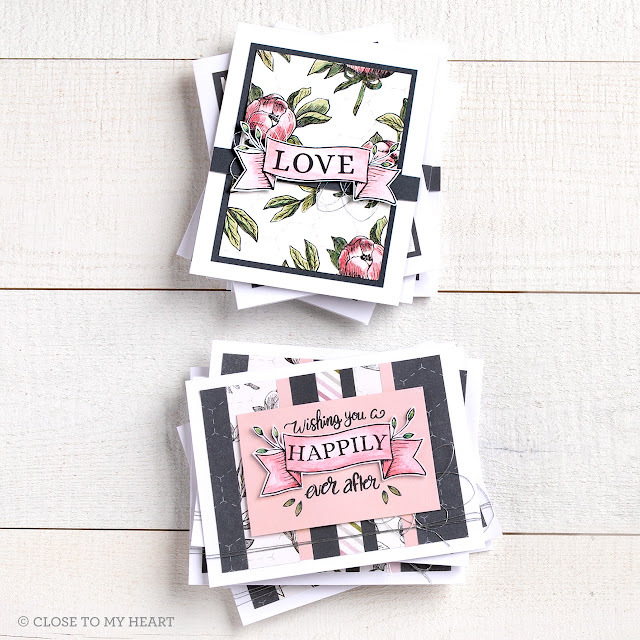 Close To My Heart stamps are paper packs are so versatile! The charcoal gray paper is the reverse side of the large floral paper on the first card. 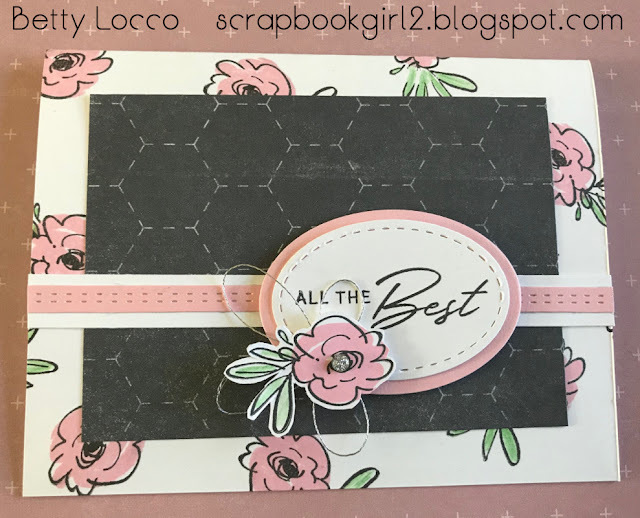 I used the large floral image in Know That I Care and stamped it on White Daisy Cardstock to make my own background paper to coordinate with the Feels Like Home Paper. One of my favorite components of this kit Z4213 Silver Embellishing Thread. It is so beautiful and delicate and adds just the right touch under the flower. The card also uses one of our fabulous Decorative Border Dies Z4241 and the Stitched and Basic Oval Dies. The stitched dies really add texture to the cards. 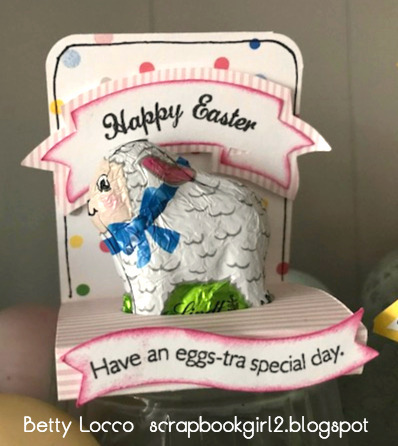 Now it is time to hop on over to Joyce Gough's Blog to see her creation for this month.